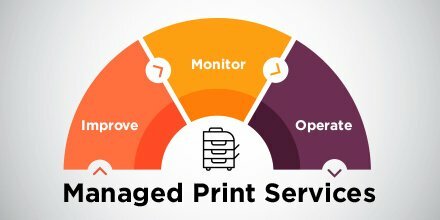 What Does Managed Print Service Mean? | Industry Analysts, Inc.
From Clover – Managed print services are services that an outside provider will offer to their customers to help them identify and actively manage and optimize their company’s print fleet and document input and output. By providing these services to your customers, you can help them save money on their printing, understand their total cost of printing, reduce their environmental impact, and provide them with the security and tools they need to control their print environment. These services can benefit you by allowing you to provide your customers with additional services they need and ensure they are utilizing your products and services to maintain their print environment. This entry was posted in Clover and tagged Clover, Managed Print Service, mps by IA Staff. Bookmark the permalink.